In this article we will be giving an overview of how to sync your Podio applications with your Device Magic account. 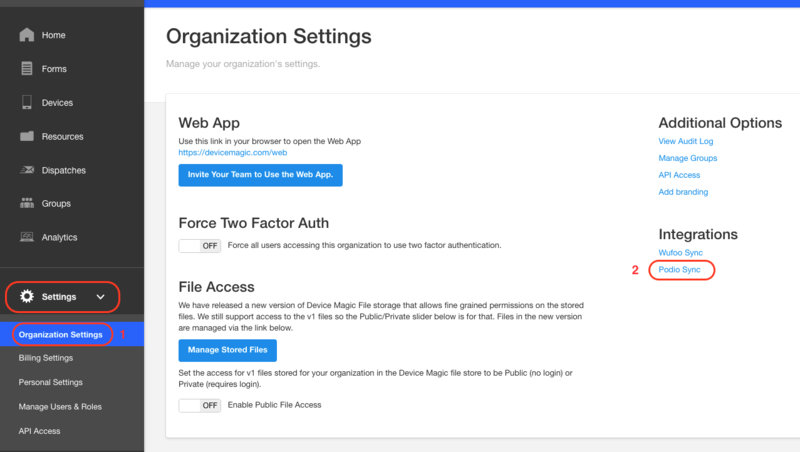 With the Podio - Device Magic integration, you can now sync your Podio applications to your Device Magic account and use the forms application to complete items from your Podio workspaces, online or offline. This integration service is available to all Device Magic's users on free and paid packages. From your Device Magic Dashboard, expand Settings and click on "Organization Settings". Click on the Podio Sync option on the right hand side, under the integration category. You will be redirected to the page where you can click on "Start Authenticating Podio Account"
A new window will pop up to start authentication. 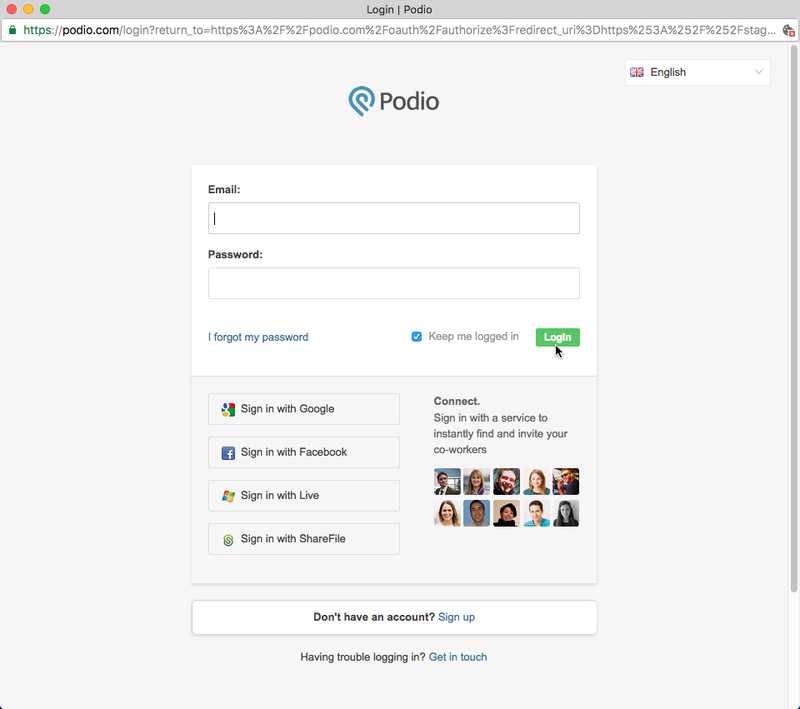 If you are not logged in to Podio, you will be presented with the Podio login screen. Once you have logged in, you will be presented with a screen where you can either grant or deny access for Device Magic that is trying to access your account. You need to click the "Grant Access" button. Click on the "Podio Organization" dropdown to select the relevant organization to be synced. Once you have selected your organization, select the relevant workspaces you would like to sync and click "Update Settings". After the sync is complete, you can click on the "Forms" option on your left hand menu. Once the page is loaded, scroll towards the bottom of the page. 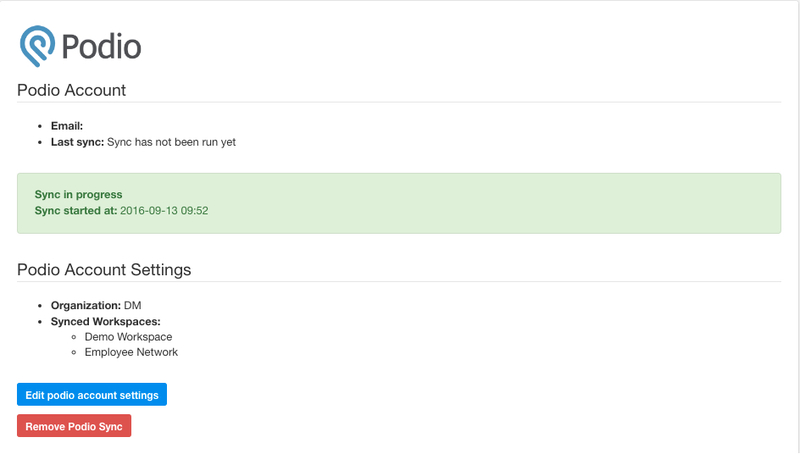 Here you will find all Podio forms, related to the synced workspaces. 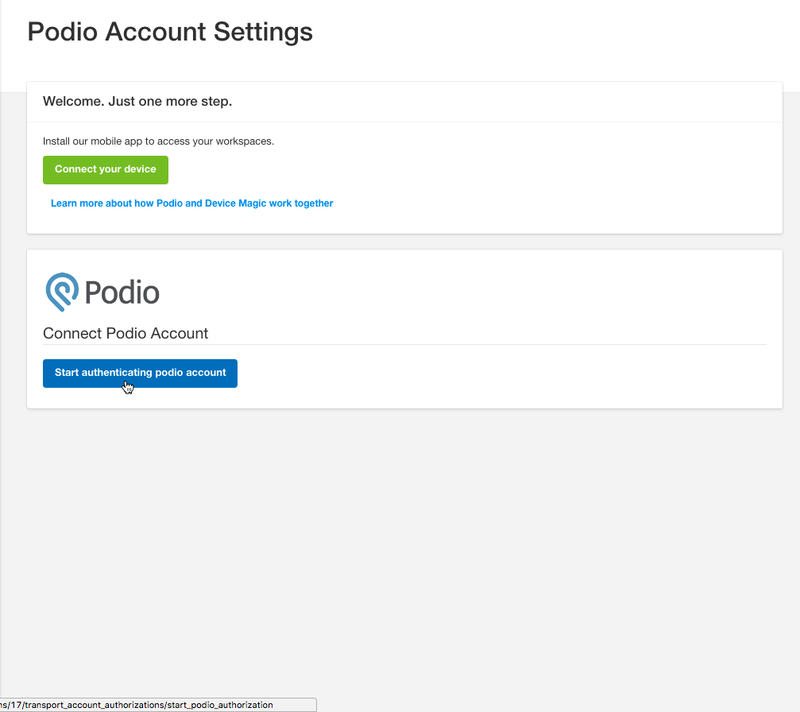 From this screen, you will also be able to access your Podio settings as well as sync your Podio applications to get a refreshed list. 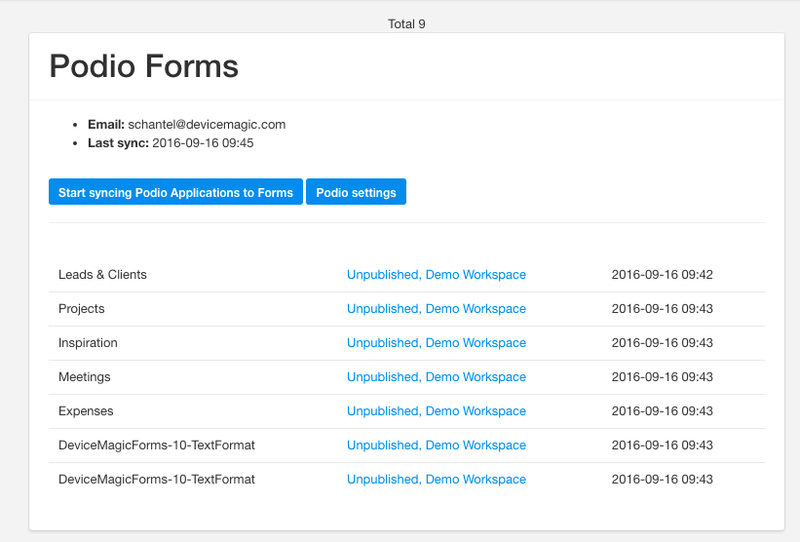 Once this has been completed, you can now sync the Device Magic forms app on your device, to get the updated list of forms, including Podio applications. 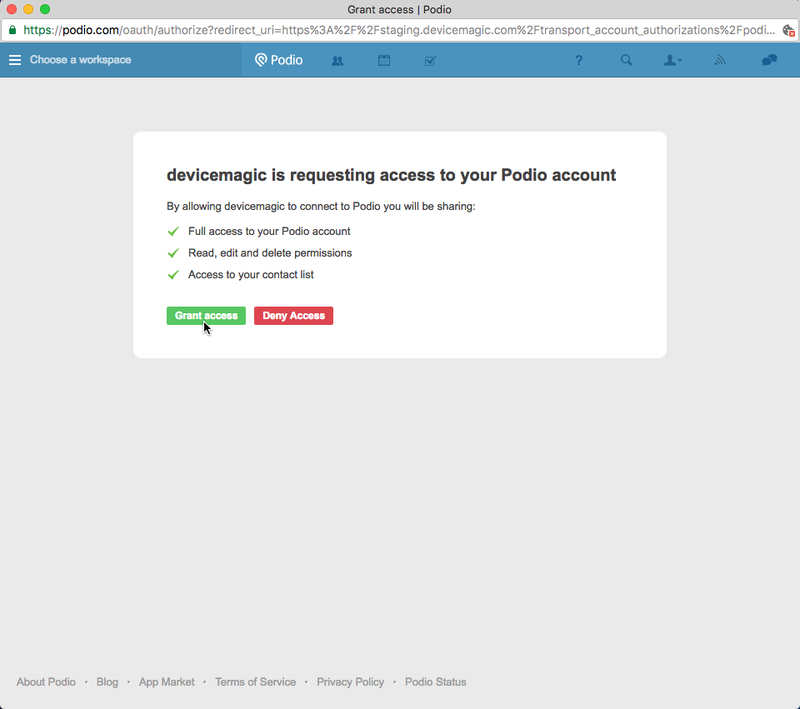 This concludes our overview of how to sync your Podio applications to your Device Magic account. If you have any questions or comments feel free to send us a message at support@devicemagic.com or leave us a comment below.